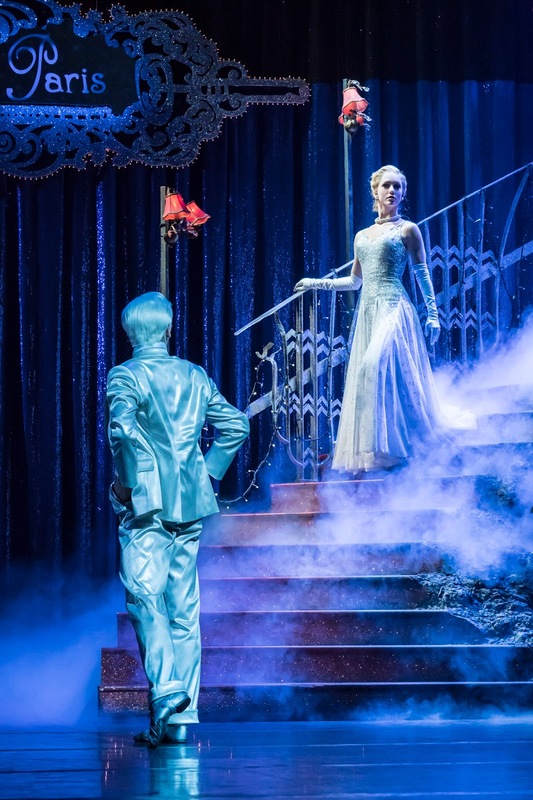 Witty, gothic and yet strangely enchanting, Matthew Bourne’s Cinderella returns to Sadler’s Wells for the festive season before heading out on tour. 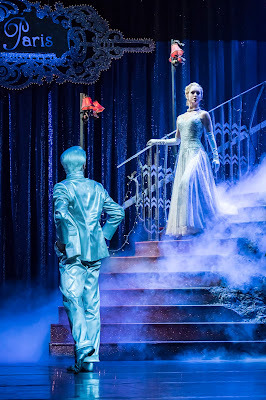 Where last year’s Christmas offering from Bourne’s New Directions company was The Red Shoes, this year it’s all about the glass (or rather, the sparkling diamanté) slippers as the classic fairytale, scored by Prokofiev is translated onto London during the Blitz of 1940. 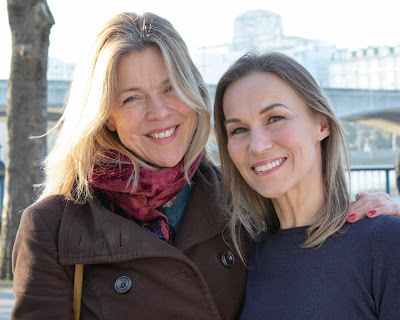 Bourne’s Second World War staging was first aired in 1997, before a revival in 2010 leading to this 2017 slightly re-worked reprise and it makes for an uncompromising interpretation of the famous yarn. The best fairytales have always melded magic with monstrosity and Bourne’s vision upholds that fusion as goodness fights to triumph over evil. The psychodrama here however is harrowing. We all know how the tale traditionally pans out, the wickedness of its opening chapters defining Cinderella’s family. Bourne however takes the darkness deeper. One of Cinderella’s step-brothers attempts to molest her, her stepmother tries to murder her and even the show’s hero - in this narrative a downed RAF pilot - is shown to be both physically and morally flawed. In removing the traditional "royalty and castle" from the story, Bourne still preserves the classic three acts. The first depicts Cinderella’s domestic misery. The second, famously the Ball, is here shifted to London’s Café de Paris on the night that the venue was (as tragically occurred in real life) bombed during a German air raid. The third sees the pilot searching London’s streets and tube station blitz shelters for the beautiful woman whose shimmering slipper he retained after she was taken away injured from the explosion. Bourne lobs in some novel twists, but rest assured there’s a pleasingly happy ending. Ashley Shaw again assumes the responsibility of leading ballerina, in the title role and, as in The Red Shoes, is magnificent. Without referencing the technical intricacies of Bourne’s choreography, suffice to say that Shaw translates poetry into movement. Her love, desire and fears are all exquisitely portrayed in a performance that appears as exhaustingly athletic as it is artistically beautiful. Opposite Shaw is Andrew Monaghan as Harry, the Pilot. Wounded and bomber-jacketed, he’s not the fairytale’s handsome Prince, rather a decently loving (and beautifully danced) everyman, who falls for the downtrodden heroine. There’s not a fairy godmother to be found here. Instead, Liam Mower dances The Angel, gifted with magical powers to make Cinderella’s wish come true. Mower too is magnificent. Amongst an excellent cast, a nod to Michela Meazza as Sybil the Stepmother. Bourne’s programme notes acknowledge a reference in Sybil to the 1940’s screen legend Joan Crawford – and Meazza beautifully embodies the aura of Crawford’s cruel mystique. The influence of cinema again pervades Bourne’s work. There is a broad monochrome ambience throughout, interspersed with vivid flashes of colour, alongside assorted hints to movie classics that captured the 1940s. The reference to Brief Encounter in the final act (albeit without the standard Rachmaninov soundtrack) is a particular treat. Bourne's dark interpretation of the story sits at odds with our expectations of the Cinderella narrative. But the challenge is a good one that creates a stunning interpretation that holds a mirror up to ourselves. Catch it now at Sadler’s Wells – or make every effort to see this enchanting ballet as it tours the country. Runs until 27th January 2018, then tours. Touring dates here.